Land Rover has updated the Discovery Sport and Range Rover Evoque by adding more powerful 2.0-litre petrol and diesel engines. As a result, buyers can choose between two new Si4 petrols - with 240PS or 290PS - along with a new SD4 diesel with 240PS. Land Rover's new 290PS Si4 Ingenium petrol will be the most-powerful production engine ever offered in the Discovery Sport or Range Rover Evoque and be capable of propelling the latter from 0-60mph in just six seconds. The range topping 290PS petrol will be distinguishable by its sporty bodykit, with enlarged air intakes in the front bumpers, 20-inch alloy wheels and gloss black front grille. Capable of 144mph, the halo petrol will pack 400Nm of torque, compared to the 340Nm of the 240PS Si4. In the Discovery Sport, the new 290PS unit will cover 0-60mph time of 6.5 seconds while CO2 emissions will range from 173g/km - 186g/km. Land Rover is yet to release any fuel economy figures. At the lower, more sensible end of the scale, the 240PS Si Ingenium petrol will return an official 38.7mpg and 165g/km of CO2 in the Evoque. 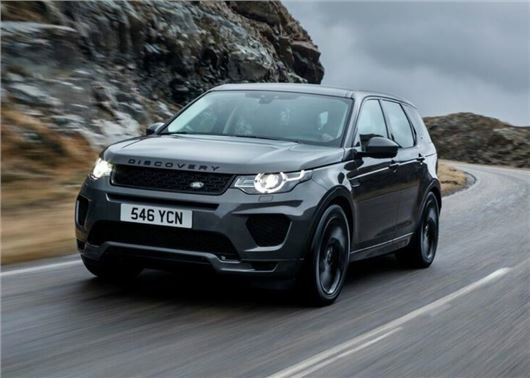 Discovery Sport drivers, on the other hand, will get 35.3mpg and 182g/km. Land Rover is yet to issue any 0-62mph figures for the 240PS Si. The final addition to the range, the 240PS SD4 will have a whopping 500Nm of torque and be capable of covering 0-60mph in around seven seconds in both the Discovery Sport and Evoque. Claimed economy will be in the region of 44mpg and CO2 emissions will be 153g/km - 169g/km. Pricing is still to be confirmed for the new engines, but order books will open in the next few weeks, with deliveries expected in the summer. Both the new petrols and diesel will be limited to four-wheel drive variants with automatic transmissions. A new diesel option?. I thought diesel was supposed to be dead and out of vogue with the car buying public?. So why are manufacturers still spending on R&D costs, and releasing more engine options for a fuel which is constantly being made anti social by both the mainstream and motoring press?.